First on the agenda? I tried a new recipe I came up with, that I&apos;m hoping turns out well. It&apos;s a rye stout, with lots of chocolate malts and roasted malts, light on the hops. A very complex malt bill. 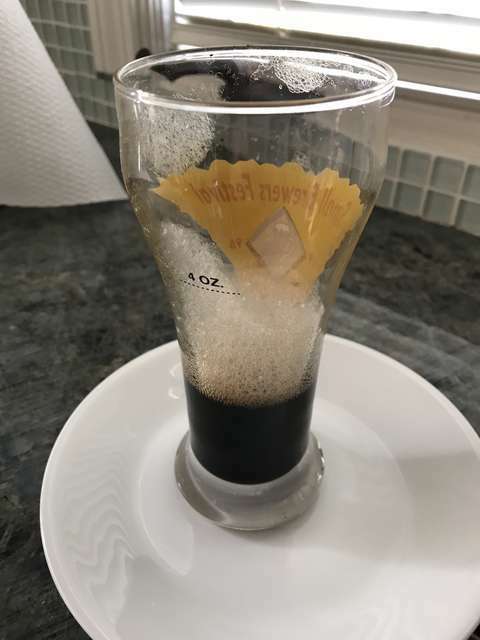 The wort from this stout looked pretty much black, which is definitely what I was going for, and it had that toasty, chocolately flavor profile, so I think it should be good. I added some lactose for residual sweetness (lactose is an unfermentable sugar), and I plan to add some cacao nibs and vanilla bean once fermentation is complete, and maybe some cinnamon as well, to give it a wee kick. I&apos;m throwing a lot in this recipe, and I hope it doesn&apos;t get too muddled, but we shall see. 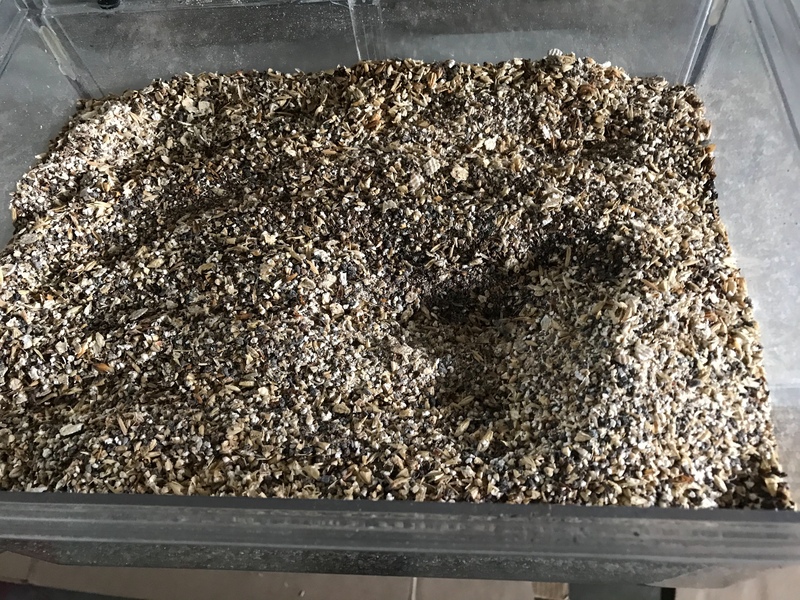 I recently got my first grain mill, a Barley Crusher brand unit. 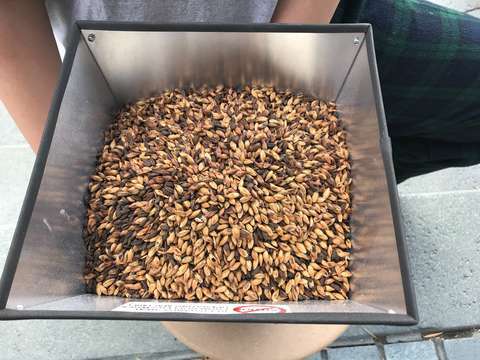 I was tired of having the local homebrew store do my milling/crushing for me, and I&apos;d rather buy my malts in bulk, so I can brew when I want to, without having to buy grains before hand. Uncrushed grain also stores much better, which is an added bonus. For this brew, Julien helped me, by running the hand crank on the mill. He cranked through 7 lbs of grain in no time, and the resulting crush was pretty much perfect. I suspect that the novelty of the hand-crank will wear thin pretty quickly, but that&apos;s ok because we can easily hook up a power drill to it, and use it to run the mill drive shaft, rather than the hand crank. Even at the recommended low speed, it will still crank through grinding a good load of grain quickly, and with much less effort than the hand crank. While the mash for the stout was going, I started a new batch of orange mead. Mead is very easy to make, and while it takes a long time to ferment and age, it is really quite good, and we are pretty much done with the last batch, so it was time for another. 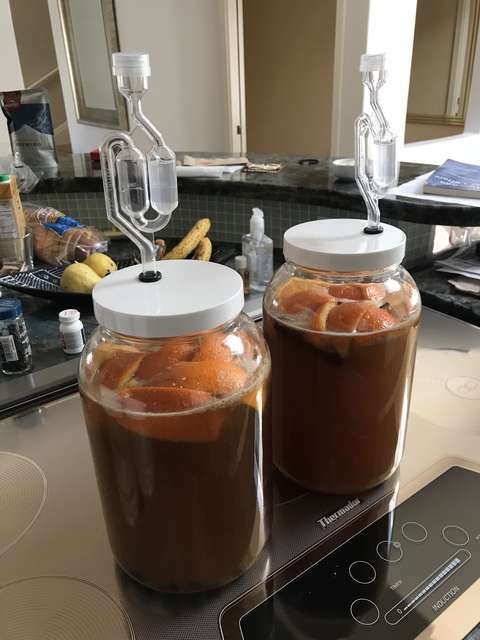 I used some new wide-mouthed carboys this time, which is ideal for this recipe, since it uses real orange slices, which are hard as hell to get out of a traditional gallon jug-style carboy. I&apos;m looking forward to seeing how each of these turns out! After the brew session was done for the day, I took my spent grains to my Eastside chicken lady, and Julien and I got to see first-hand just how much the chickens love spent grain. They really go for it! In exchange for the grain, I got 5 fresh eggs, one of them just-laid, and still warm! I dig that my grains are getting put to good use, rather than headed for the garbage.